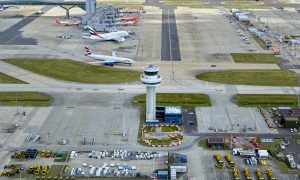 Gatwick Airport achieved an impressive 3.0 million passengers traveling through the airport this February, +9.9% on 2016. Long-haul routes continue their booming growth at Gatwick, +20.3% on February 2016 and driving a +6.0% cargo increase, – once again demonstrating Gatwick’s key role connecting Britain to important growth markets when these links have never been more crucial. Los Angeles was +90%, on the same time last year, with Gatwick passengers to shortly have even more options for travel to America’s West Coast as British Airways start their new route to Oakland, San Francisco, this March. Skiing destinations performed well in February with Geneva Gatwick’s most popular European destination in the month with 109,500 passengers visiting, +5% on February 2016. This was joined by Innsbrook +9% and Genoble +8% on the same month last year. 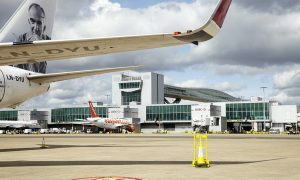 “Gatwick’s February passenger figures demonstrate the confidence we are witnessing from our passengers, with travel still high priority following the Brexit referendum, with passenger numbers +10% on February 2016. “Our booming long-haul growth reflects our passengers’ response to our established and growing line-up of long-haul destinations. In the next three weeks alone British Airways start their new route to Oakland, San Francisco and Virgin Atlantic to Varadero, Cuba. Meanwhile, Cathay Pacific’s existing route to Hong Kong will be going daily this summer. This February, long-haul growth continues to rocket, +20.3% on last year. This long-haul growth has driven a cargo increase of +6.0%. North Atlantic routes drove this long-haul growth +53.1% on this time last year with Toronto +172%, Los Angeles +90% and New York +66%. 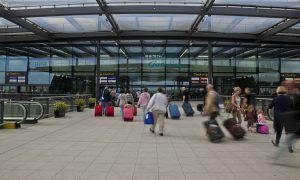 UK and Channel Islands routes grew +14.2% with Belfast routes +57%, Newquay +26% and Inverness +21%.